While reading one of my old blog entries, I realized that I feel quite differently about some diapers now, compared to how I felt when they were brand new fluff mail. Some things I didn’t like at first, I grew to love and vice versa. Therefore, I’m going to do a quick summary (linking to the original blog post also) of some of the diapers I’ve been using for up to 6 months. I’ve also taken some photos of things I find noteworthy. Since some people do refer back to the archives, I’m going to also figure out the best way to link this post to the original post, perhaps by just linking to this post to avoid a big glob of copied & pasted text at the end. Here goes! Bumgenius 3.0 One Size Pocket Diapers. The first 3 diapers I bought were Bumgenius 3.0s. I’ve had those since October, so just about 6 months. They’ve gotten some major wear and tear. Not only have I had them the longest, but when I first started out, I only had 3 BG, then 6, and I literally washed them twice a day to keep the sposies I needed to use, to a minimum. The most common complaint I read (I think I read hundreds of reviews when deciding what to initially purchase) was that over time, the velcro curls, doesn’t stick and forms diaper chains in the wash. Some people have even done a snap conversion. Well, I happened upon this Bumgenius Refresher Kit at cottonbabies. The refresher kits include three new pieces of elastic (back elastic, two legs) new tab closures and new laundry tabs. Each kit also includes instructions for sewing your diaper refresh kits into your bumGenius cloth diapers. Each kit is only $1.00! It seems well worth it to me. That said, I don’t need any. The light blue diaper was one of the first 3 I bought and the one I reach for the most. It is the “worst” as far as tabs curling, and you can see it’s not really bad at all. The velcro actually sticks to the laundry tabs, stays firmly attached, but isn’t too difficult to remove from the diaper or laundry tabs. 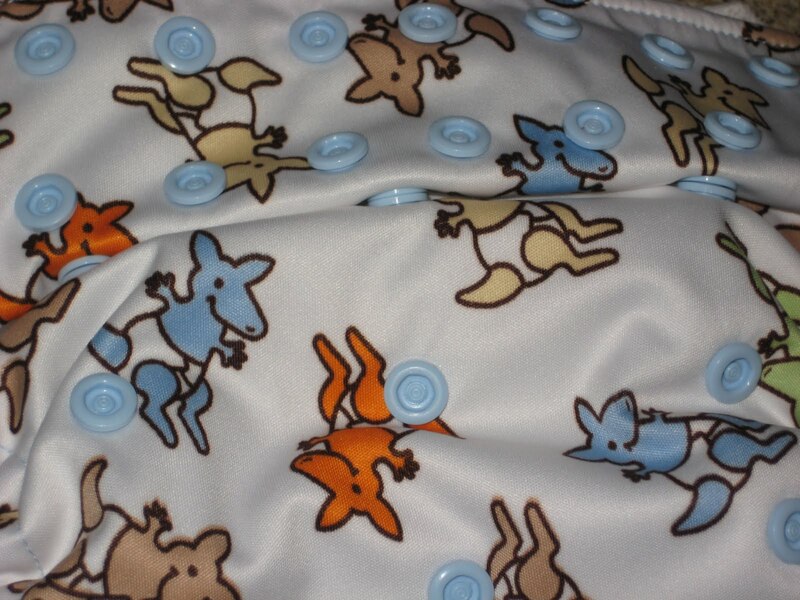 There are some snags and fuzzies on the front of the diaper also, from getting snagged by various diapers. There are no functional problems at all. They may need a little refresher in a few more months, but who cares. I remember being so shocked at the price of $17.95 per diaper when I first started looking at cloth. Now I know, that’s cheap!! They’re one size, waterproof, come with not only an insert, but a doubler too, have a stay dry inner, and are actually one of the least expensive diapers I’ve bought! They also have the “poop scoop” in back and a nice, wide pocket for stuffing. I’ve heard some people say they don’t like that, but I do. You have to fold the “poop scoop” over after stuffing to cover the opening. I also adore that they have the PUL “stopper” on the front. You don’t have to be too particular about getting the insert just so, since that will keep it from wicking onto clothing. Speaking of stuffing, it takes me seconds to stuff them now. I had a learning curve though. I don’t really think it’s something someone can teach you, you just have to get the hang of it. I sheepishly admit that the prints are what made me desperately want these! I initially thought they’d be great for newborns since they had a “newborn” setting in addition to small, medium and large. They claim to fit 7.5 to 35 lbs. Many one size diapers have similar size ranges, but almost everyone tells me that they don’t really fit until about 10 pounds. My son was born at about 8 pounds and was a bit over 14 pounds when we started cloth diapering at about 4 1/2 months. He has worn the “medium” setting on all of his other one size diapers since then, but we are still on the “newborn” setting on these!! We started out on medium and went to small, then finally newborn, in search of a secure fit. Granted, he’s teeny at 16 1/2 lbs at 10 1/2 months, but I just can’t see how a 7.5 pound baby could wear these. I think the sizing is more like Small/Medium, Medium/Large, Large/Extra large and Toddler. The aplix closure tabs do overlap, but I’m always left with the end flapping in the breeze for some reason. I’ve never tried a snap version. When I tried to use the “small” setting, we had constant leg gap and he would pee right out the leg hole, leaving the insert bone dry. Even since we sized down, I have to be really careful about how I put them on or we get leaks. Since there’s no stopper like the bumgenius has, I have to be careful not to stuff the insert too far into the diaper, but then it sometimes wants to hang out the back. The inserts also do not have the snaps for sizing like the BG have. They also want to bunch up inside and that also causes leak issues for us. I have to use the foldover method for securing the tabs during laundering, they don’t stick to the laundry tabs for me. They have a little bit of pilling here and there, but overall seem to be “aging” fine. I will definitely hang on to them since they may fit better if he chubs back up, or might fit another baby (if we have one!) Solid colors cost $1 more than the bumgenius, but there is an additional surcharge for prints. A very, very long time ago, long before I even had a baby on the way, I researched cloth diapers. I ended up liking FuzziBunz the best, but I was turned off by the cost of having to buy different sizes. My daughter was such a peanut that she was only about 24 pounds by the time she was fully potty trained. For her, we would have needed some newborns, smalls and some trainers. That would have been all. Oh, if only I could have all the money back (or even some of it!) that we spent on disposables for her. What a fluff stash it would buy! In the beginning of my cloth diapering, I wanted only one-size diapers, so I bought this. Initially, I thought this was OK. Nice and trim. Then I realized that the way I had the waist & elastic setting wasn’t quite right. I found the elastic confusing and off putting, and the nice trim fit wasn’t as trim once the fabric was puffy from adjusted elastic. I found the triangular snap configuration confusing and annoying and my husband hated it. Since it’s one of the last I reach for, it doesn’t surprise me that it’s in pretty good shape! The cost was $1 more than the Bumgenius. I bought this really just because it was a one size pocket diaper, was on clearance, and the price was right. No surprise that I didn’t love it. I don’t hate it either. Just as I said in my initial post, the laundry tabs are pretty useless and the weird shaped insert is hard to deal with. It’s held up pretty well, but it’s also definitely not the first I reach for. Again, I got suckered into a diaper because of the cute print! I had heard good things about Blueberry, but that their velcro was awful. Since I couldn’t find any of the prints I liked with snaps, I got the velcro, thinking that people were just anti-velcro. Boy was I wrong!! This was the blog post that made me realize how wrong wrong wrong initial impressions can be! I hated the insert because I couldn’t figure out how to fold and snap it. Now I love it! It’s one size without adding much bulk, has microfiber and hemp both, is very trim, and is a loop, so it dries quickly. Definitely one of my most favorite inserts now. I also thought the velcro was good. Bwaaahhhahahhahah!! Excuse me while I slap my knee and wipe a tear from my eye. It’s as though Blueberry velcro defies all rules of logic. It is im-freakin-possible to get off the dang diddly laundry tabs! Seriously, I work up a sweat trying to get them off, and this one is ripped almost completely off. Put them in the washing machine though and it’s like the velcro thinks the laundry tab has cooties. The velcro sticks to everything BUT the laundry tabs. This means all my other stuff gets snagged, and the Blueberry velcro gets a bunch of gross fuzzy stuff stuck in it. The inside is quite pilly, and seems to have stained more than others. In general, it just looks much older than diapers that have been used much, much more often. What kills me most is how much I paid for this diaper. It was $33! I’m totally ashamed! I could have practically bought two Bumgenius. That just really bugs me. Oh well, expensive lesson learned! This is a huge change from the last one because I love this diaper! If it is clean and we are going out, it is the first diaper I choose to put on my son for the trip. Every. Time. Even without the doubler, it does not leak. The snaps are easy peasy and it fits wonderfully. The inside is silky soft, but you have to tumble it dry for at let a few minutes, or it is stiff. I’ve been using it regularly for 4 months and it still looks spanking new to me. While it was still awfully expensive at $28, I don’t really feel bad about it since I love it so much. The only thing I don’t like about it is that the bamboo inner is not “stay dry” like microfleece and suedecloth. 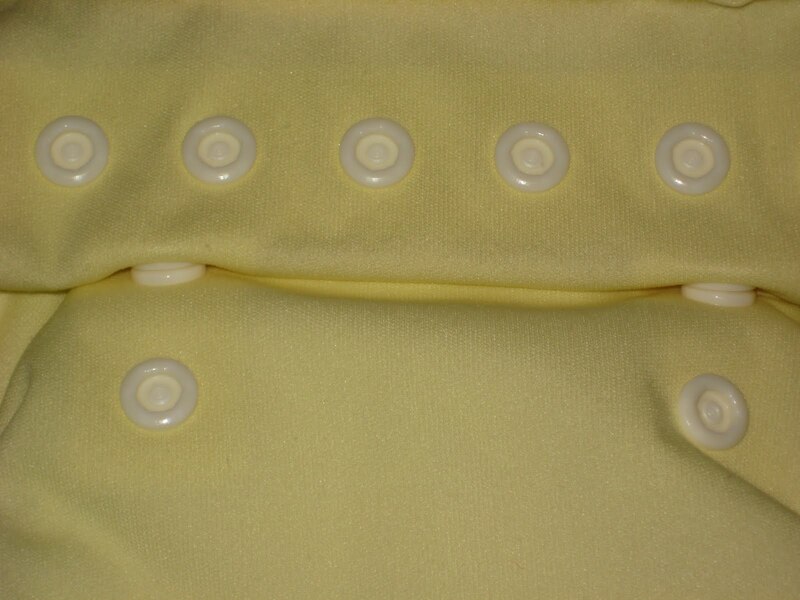 However, this is a plus for many people that prefer natural materials on baby’s bottom. I was once again suckered in by a cute print (notice a theme here?) but the print wasn’t actually as cute as it looked online (in my opinion). It’s gotten a bit pilly but no major issues. The inner gussets are awesome and I love the 4th snap down, which is a true newborn size as I see it (as long as you don’t have teeny tiny babies.) I would of course prefer to have some newborn diapers with the umbilical cord snap down if I ever get to cloth diaper a newborn. The Rumparooz Lil’ Joeys are one of a few that simply make my ovaries throb. Hee hee. This one I’ve only had for three months. I do realize I had the snaps all wonky in the photo in the original post. They aren’t done correctly and I’m sorry. Now I actually like this one a lot better than the velcro version. It rocks for all the same reasons (inner gussets, newborn size) but the snaps are super easy. There are just two snaps (one right above the other, so no backtracking to try to get it snapped correctly) on each wing and they’re very easy, just like the Blueberry Snap diapers. I much prefer this snap configuration over ones with a single row, but 3 snaps to snap on each wing. I initially thought the velcro would loosen up over time and that it was easier than snaps. Actually, I can probably snap this diaper before I get the velcro off the laundry tabs on the other one. Also, no snags on the diaper. Looks new. The inside is a little bit pilly, but that seems to be par for the course. Rumparooz in solid colors are $23.50, $5.55 more than Bumgenius 3.0. Add another $2.00 to that for a print. 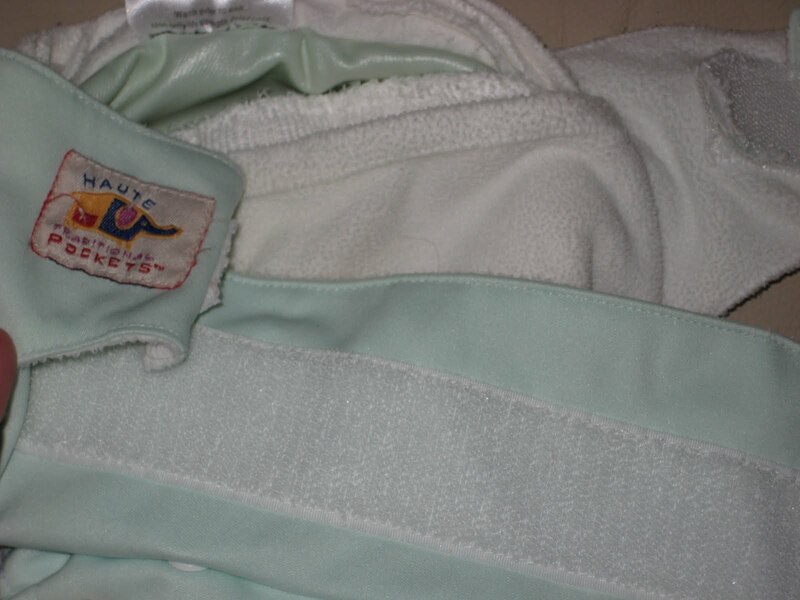 I was initially interested in this because it was a one size diaper, was inexpensive, and the insert was supposed to agitate out in the wash, no pulling it out. I contacted the company asking for permission to use their images in a silly “Dear Santa” wish list post. I contacted quite a few companies, and they were the only one that didn’t respond. I wasn’t overly impressed with the diaper. Seemed pretty basic. I found it more difficult to stuff with the patch instead of pocket, but the inserts do indeed agitate out in the wash. It was $3 less than a bumgenius, but didn’t have extras like the “poop scoop,” the PUL stopper and it didn’t come with a doubler. I’m not sure how you could even put a doubler in if you bought one. I’m able to use my bumgenius as a travel or night diaper just by adding extra stuffing. If you had all smartipants, you’d have to buy something else for those purposes. It has a single row of snaps and only two snaps on the wing, making it a little easier than those with three. It does still look pretty new though. It’s one of two “daytime diapers” I keep in my son’s bedroom (we change almost all of his diapers downstairs), so it is used every other day for his first change of the day. I’ve had this one for less than two months, but it’s usefulness (or lack thereof) was clear after 1 use, and very clear after 3 weeks. The photos I added to the original post showing the wear & fading were taken after three weeks. With the first use I found that it leaked from the legs so much, it may as well be a fitted. I had hoped that at the very least, it would have some resale value, since Goodmamas are so popular, but definitely not looking the way it does. This was one of the more expensive diapers I’ve bought at $28. I tend to skip over it, or use it with a cover (defeating the purpose of it being an AIO). The term AIO is deceiving as well, which I address in my original post. I would really like to try a Goodmama fitted to see if they are better than the AIOs, but I just don’t have the heart to spend the time and effort (and money!) tracking one down. The inners and soakers still look fine. The outer? Not so much. Brilliant idea to turn them inside out! I love my BG 3.0 and 4.0 SNAPS. I was so very disappointed in the aplix that I sold them almost as quickly as I bought them. Thanks for the post! Fb used to be my favorite. They fit my 2 month old perfectly and are so soft. As she has grown, the fit is just weird. I’ve adjusted the elastic and everything. Not to mention the pul has become so sticky that it’s nearly impossible to stuff. :(. Sadly they are the last ones I reach for too! >Oh yes, I totally agree that you need to actually use them for a while. Even the first several uses don't tell you everything you need to know. But I do know if I could have tried the velcro and laundry tabs on some in a store, and seen some of the prints in the store, I could have saved myself some money, LOL! >Owen's Mom- the bG refresher kits are GREAT. I like ripping out the laundry tabs and sewing the new ones down, rather than just sewing the new ones down on top of the old ones. I also LOATHE fixing the elastic. Hate it.Anyways, can I add my two cents? =) I agree with changing your mind after a couple of months. It's so true! But I don't think simply getting to touch and play with them will help as much as one might think. I mean, when I first got my Haute Pockets, I touched 'em and loved them. They were so soft and wonderful, I was in love. Yeah… that didn't last long. I HATE them. They leak ALL THE TIME. BAH.I also got some Dry Bees, and I grew to love the small ones eventually, but still haven't figured out how to make the big ones work.Hmmmm… maybe I should do a post like yours…. >Love the first pic! We are getting ready to put up the same shelf in our laundry room.Yes, I promise the bumGenius diapers are fabulous but do not hold up well to all the usage. They were my first spendy dipes and I still love how they never leak overnight, but the tabs are so sad. Curled, pilled and sad. I will check out those kits you mentioned.Honestly, I would always recommend the Fuzzi Bunz. I love the new elastic adjustments at the legs (for my skinny son) and the snaps are just superior to velcro. I also trust those overnight. >That is a great idea. If it ever gets gross enough for me to give up on it, I'll take the inner out first! Someone did tell me to turn them inside out when drying and it does help! I only have one, I got it with the Bumgenius coupon and I haven't been using it long!Who do you usually order from? I've used Kellyscloset, Diaperjunction, Abby's Lane and a few others. Abby's lane is my fave because they're so fast & shipping's always free, so I don't have to wait to order until I need enough stuff to get free shipping! >I haven't tried the organic, I prefer a stay dry inner, but the stay dry inner is pretty trim.The only other problem I have with BG is the inserts tend to get stinky, but so far, it's nothing I can't fix…plus, I can always get new ones! Not sure how well the BG AIO will fare though since it's attached to PUL (so bleach etc is out). >Great post! I have to admit in the past 3 or 4 months that I've been cloth diapering (since sometimes in Dec09 and LO is 6 mos) I've favored my BG's 3.0 a lot. I tried the Tweedlebugs OS, but found that on her skinny legs I get a lot of wicking, the retailer that I got them from said that she didn't have the problem but her daughter is also a lot bigger weight wise then my LO. 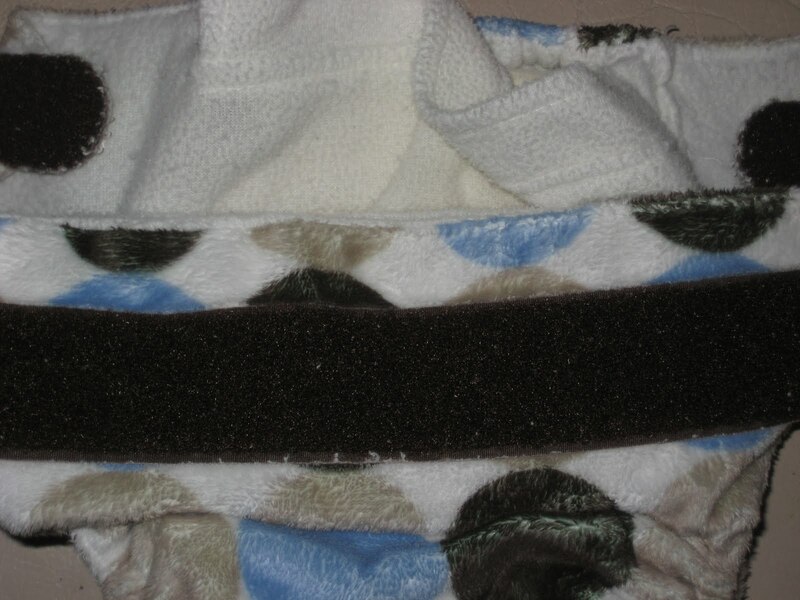 I tried prefolds and the Thisties Duo (size one) cover but that didn't fit at 6.5lbs (birthweight) and was too small at 12lbs (around 3 or 4 months) even though it said that sz1 goes up to like 18 or something…My last few orders of fluff DH told me not to fix what isn't broken so I ended up ordering a bunch more 3.0's. I figured I would buy the refesher kits when they start to die, because the snap diapers I've played with are just too hard to do which how wiggley this baby is lol. Although I have one Flip cover right now and I love it as a cover, but I think the insert (I have organic) is too boxey and thick, which makes it bunch a lot between her legs – does anyone have that issue too?